To dissolve stress – CHOOSE to think that you deserve a relaxing Massage! Because YOU Do! Think about how time feels suspended while you are receiving a massage; you drift in and out hearing only soft music. Your thoughts follow your heart. Stress is left far behind on some other shore. It loses its hold. Healing takes place. 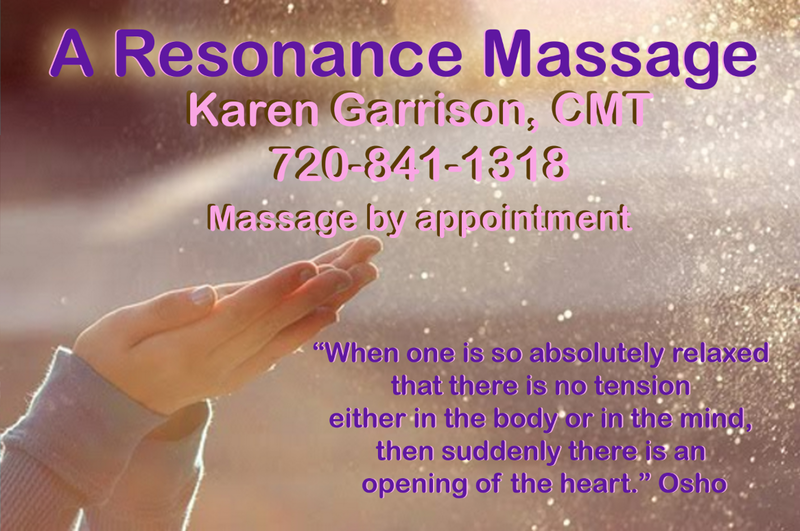 Think deliberately about scheduling a massage today! You know you have wanted to. Be good to YOU!